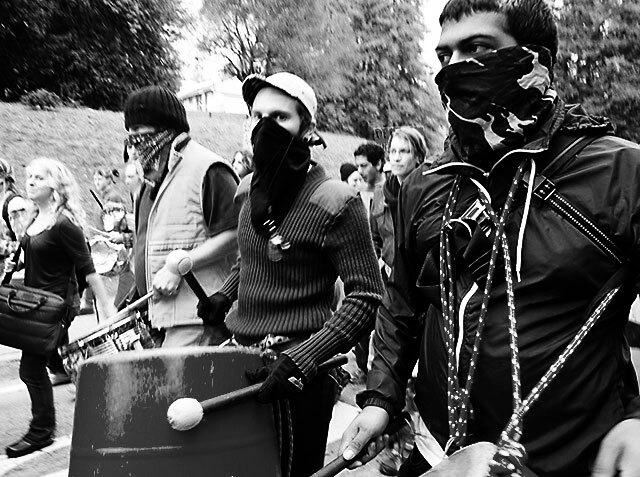 This Friday, we'll be joined by Oakland's amazing Brass Liberation Orchestra and Santa Cruz Guerilla Drive-In for a fundraiser in support of Trash Orchestra's west coast tour -- including an anti-war march in Portland, performances in Eugene, and a gathering of radical street bands in Seattle. I hope you'll join us for an exciting evening. Please join us for a Trash Orchestra Benefit in preparation for our tour to Seattle's Honk Fest West. 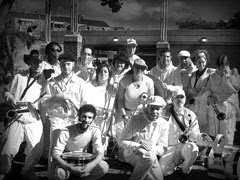 Performances by Santa Cruz Trash Orchestra and the East Bay's amazing Brass Liberation Orchestra. 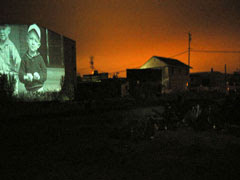 With the help of Santa Cruz Guerilla Drive-In, we'll be showing the film Honk You Very Much -- a documentary about radical street bands -- and Auto Re-Vision -- a short doc about a handful of kids sealed in a room, who convert an automobile into an array of musical instruments. Also joining us: the Hoopalites and Lighthouse Fire Dancers. Getting together two ear-shattering marching bands in one place for one night is just our way of promoting hearing loss within our community. See you on March 7th. 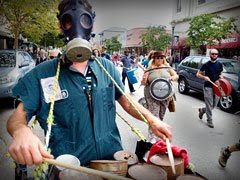 Trash Orchestra is a marching percussion band – a bone-shaking recycled orchestra. We make percussion on tuned cans, hubcaps and barrels, drums, pieces of sheet metal, and homemade oddities. We appear invited and uninvited at protests and celebrations, furors and fracases, anywhere there's a need to make a ruckus, to shout out and help right injustice, suffering, and oppression, to make a big noise to celebrate our victories and our losses.